Jacob Frey has established himself as the stand out voice of the seven new city counsel members. Frey has plenty to highlight form his first year: “the council’s vote to end strict food and liquor sales ratios, a few major housing projects underway in the ward, the building boom around the new stadium and the successful push he led to get the city’s affordable housing trust fund to one of its highest levels in years.” according to Erin Golden of the Start Tribune. Now in the second year of his term, he seeks to continue making improvements in his district and the greater Minneapolis area. Read the full article from the Star Tribune: Minneapolis City Council rookie Frey stands out as cheerleader. 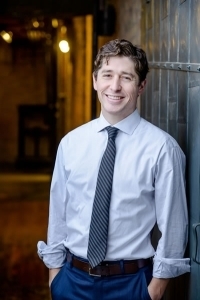 Discover more about Jacob Frey.